A single celled organism known as Capsaspora owczarzaki, is a tentacled amoeba like species which is unknown not until 2002 when it has been brought to scientific interest. It has been known since then that the same is one of the closest descendant of the multi-celled animals and its ancestors a billion years ago. About 800 million years ago the birth of the most vital transformation in the history of life occurred. From single celled organism they evolved into a sensational complexity and diversity. Approximately 700 million species exist today ranging from tubeworms to elephants. Their bodies can have trillions of cells, which develop into muscles, bones and other tissues. 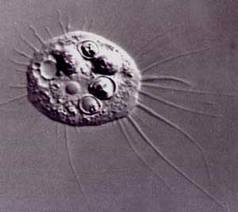 Scientists are trying to figure out how a single celled organism became a multi-cellular animal. The origin of animals is one of the mysterious episodes of earth history. Making a huge genetic overhaul was necessary to turn single cell organisms into complex animal life. Researchers sequencing the genomes of animals’ single celled relatives are discovering a wealth of genes that were once thought to exist only in animals. Iñaki Ruiz-Trillio of the University of Barcelona and his colleagues searched Capsaspora’s genome for an important group of genes that encode proteins called transcription factors. Transcription factors switch other genes on and off, and some are vital for turning a fertilized egg into a complex animal body. In a report by Dr. Ruiz -Trillo and his colleagues noted that Capsaspora shares a number of transcription factors that were once thought to be unique to animals. However, they found a gene in Capsaspora that’s nearly identical to the animal gene brachyury. In humans and many other animal species brachyury is essential for embryos to develop, marking a layer of cells that will become the skeleton and muscles. 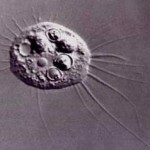 Other scientists concluded that a lot of genes that once thought to be unique to animals were present in the single celled organism. Animals didn’t just evolve multi-cellular bodies, they also appear to have developed new ways of generating different kinds of bodies, including a molecule called MicroRNA which acts as a switch to control gene activity. The known molecule provides the animals the means to evolve new ways of reshaping their embryos to produce a wide range of forms from the biggest down to the smallest animals.